As the world transitions from the Millennium Development Goals (MDGs) to a post-2015 sustainable development framework, donors, South-South Cooperation providers, partner country governments, as well as non-state actors, like civil society actors and the private sector, must take stock of their partnerships, in their varied forms. What have we learned from previous partnerships? In what ways can diverse partnerships with a broader array of development actors contribute to achieving the post-2015 goals? How do we ensure that these partnerships are consistent with human rights standards and the goals of eradicating poverty, inequality and social injustice? What are the preconditions and the principles to ensure that future partnerships are equitable? These are just some of the key questions that the Reality of Aid Network urged civil society organizations to reflect on ahead of 2015. 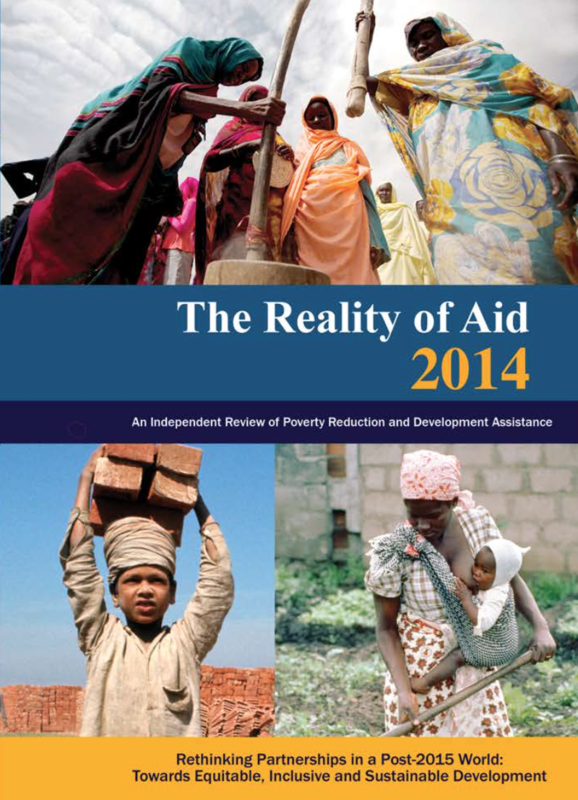 The Reality of Aid 2014 Report, comprised of 28 contributions, provides a global civil society perspective on partnerships and the post-MDGs through the lens of poverty eradication and human rights. The Report will be launched on 4 December 2014 at the OECD Conference Centre in Paris, France.